Quality, experience, and reputation are everything at Walcott Adams Verneuille Architects. 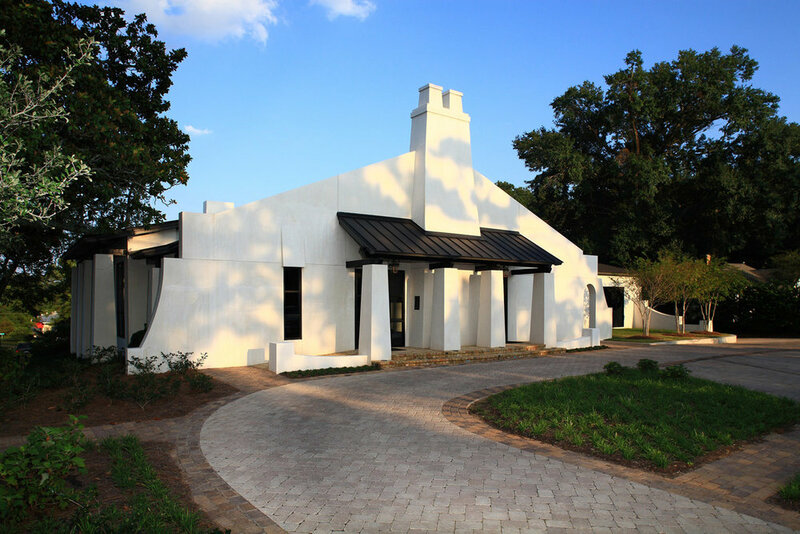 For over 30 years we’ve been designing buildings for friends and neighbors in charming Fairhope and across the gulf coast region. We are emotionally invested in the success of our projects because we believe that our job as architects is to provide peace of mind to our clients. As Fairhope, Alabama’s most established architectural firm, we enjoy touring visitors downtown and pointing out that over the years WAV has worked on almost every building in the commercial district. Fairhope’s charm and values are manifested in our design and community-minded culture. Whether designing a coastal home, a church, or a corporate headquarters, WAV’s value lies in a unique combination of empathy and talent. This means we’ll address your concerns immediately; reduce hassles through excellent communication; and always come prepared. It also means we respond to what you find beautiful, and deliver architecture in service to that goal. With over 30 years of experience and the talent of 12 dedicated staff members, we look forward to the decades ahead. The best is yet to come. Mac is a founding principal in the firm. He earned his Bachelor and Masters of Architecture from Tulane University. His broad range of experience traverses commercial, residential, institutional, large scale, small scale, publicly funded and privately funded projects. Mac is a member of various state and local boards including the Alabama Board for Registration of Architects (South District Representative); St. James Episcopal Church of Fairhope Vestry; Beckwith Camp and Conference Center; Fairhope Center for the Writing Arts; Fairhope Comprehensive Plan Steering Committee; Fairhope Center for the Arts Council; and the Baldwin County Architectural Review Committee. Over the years, he has received numerous community awards, most recently being selected Community Leader of the Year for 2006 by the Eastern Shore Chamber of Commerce. Part farmer, part bee keeper, part writer, part free spirit, he and wife, Gina, have three children, McClellan, Charlie and Virginia and a host of farm animals at their Fish River home.